Last week, the Institute for the Physics of Living Systems (UCL-IPLS) and the Turing Centre for Living Systems (CENTURI) co-organised the 13th edition of the symposium Physics of Living Matter (PLM). 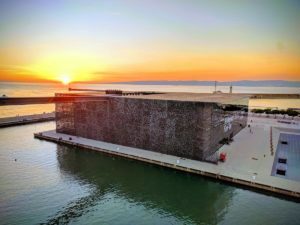 More than 130 participants from all over the world gathered in Marseille for two days shared their latest research findings. The Physics of Living Matter symposium aims at bridging Physics and Biology by bringing together scientists from life sciences, physics and computational sciences from all over the world. This year, CENTURI joined the organising committee and was honoured to host the 13th edition, after 12 editions in Cambridge. 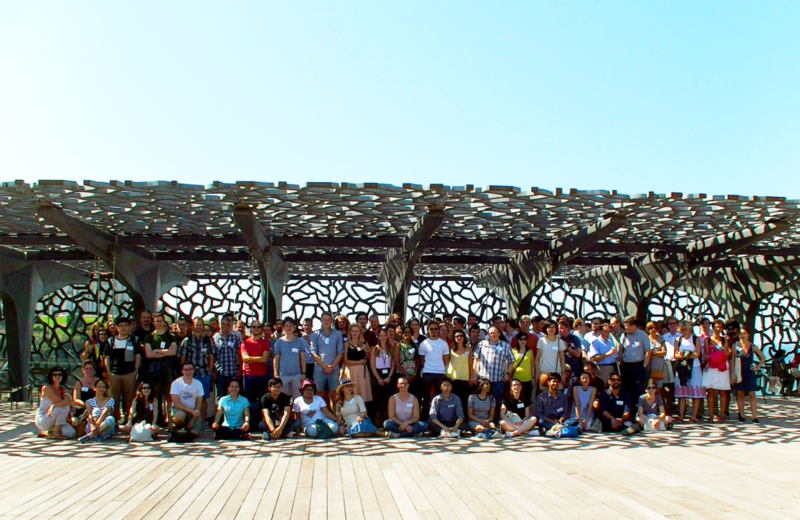 PLM 13 welcomed more than 130 participants who discussed in a very open way their research findings on living systems. For the event, we prepared an exciting programme of 22 speakers including short communications given by young scientists (mainly PhD students and postdocs) and invited communications by more senior scientists. The programme also included 2 keynote speakers, Benjamin D. Simons (University of Cambridge, United Kingdom) and Terrence Hwa (University of California – San Diego, USA), who gave, respectively, the Turing and Bragg lectures. Two poster sessions with a total of 64 posters also provided an opportunity for young scientists to present their recent research and facilitate interactions. Best posters and the best short talk were awarded prizes. Congratulations to Antonio Costa (Vrije Universiteit – Amsterdal, Netherlands) and Micaela Boiero Sanders (Aix-Marseille Université, CNRS, France) for the best posters and Marija Matejic (Max Planck Institute – Dresden, Germany) for her talk !